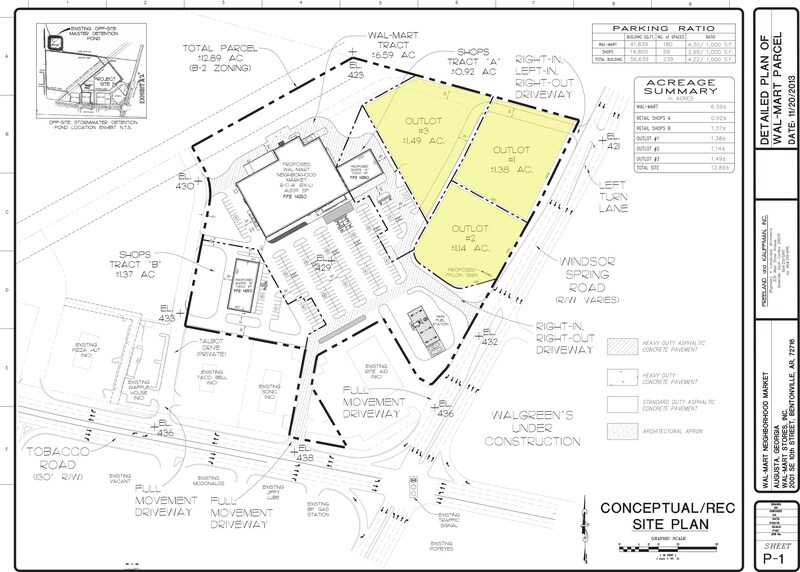 Fletcher Bright Company is pleased to announce that a new Wal-Mart Neighborhood Market is to be built at the corner of Windsor & Tobacco Roads in Augusta with a proposed opening in 2016. The development will include a 41,921 square foot Wal-Mart Neighborhood Market and 14, 800 square feet of retail shops. There are three out parcels available, please contact Steve Long 423/752-0159 for information.